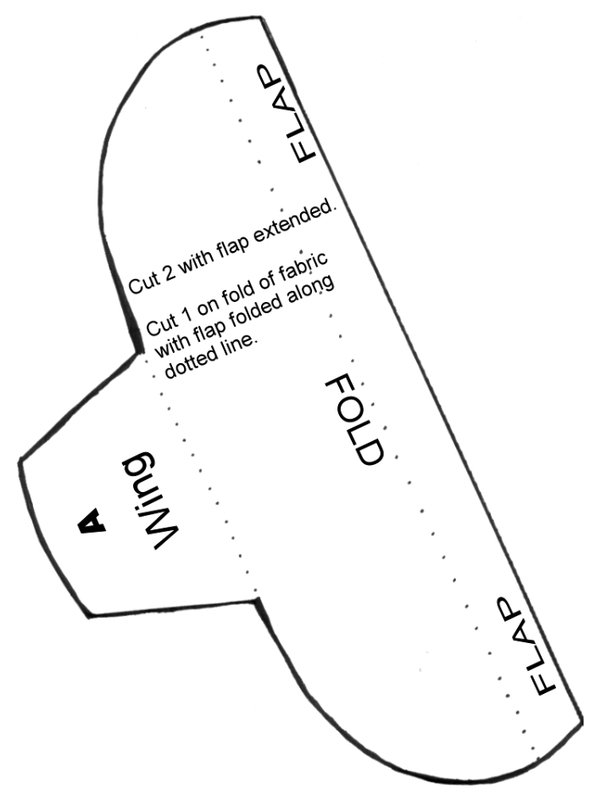 Some women apply a snap or button to the wings at this time. Place them at points “A” in the illustration. Velcro is not advisable because it has a tendency to chafe. Personally, I don’t < like to go through all the work of applying snaps or buttons so I use a safety pin instead. Large diaper safety pins work beautifully for pinning the wings together. 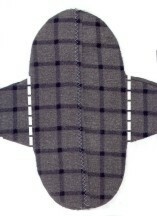 To the right you will see a picture of the pad pinned closed. The wings fit around your underwear just like disposable pads with wings. 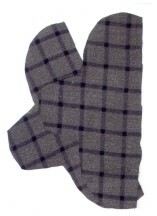 Some women wear the pad with the pocket seam facing down, next to their underwear. 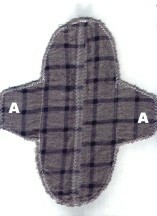 Other women prefer the pad placed with the seam-side next to their skin. Try it both ways to see which you prefer. This article may be copied or linked to as desired. 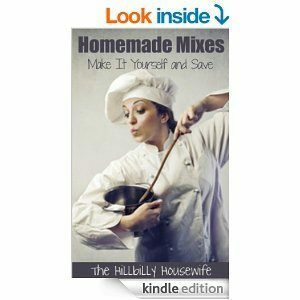 Please include a link back to hillbillyhousewife.com. 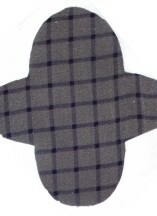 The patterns I made are placed firmly in the public domain. They are not copyrighted and can be used however you see fit, even to sew and sell in your own home business.